Organization owners and team maintainers can add repositories to a team, as well as change the team's read, write, and admin access to the repository. You can change a team's permission level if the team has direct access to a repository. If the team's access to the repository is inherited from a parent team, you must change the parent team's access to the repository. If you add or remove repository access for a parent team, each of that parent's child teams will also receive or lose access to the repository. For more information, see "About teams." 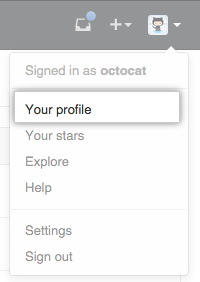 Above the list of team members, click Repositories. Above the list of repositories, click Add repository. In the "Search by repository name" field, type the name of a repository, then select it. Optionally, to the right of the repository name, choose a different permission level for the team. You can remove a team's access to a repository if the team has direct access to a repository. If a team's access to the repository is inherited from a parent team, you must remove the repository from the parent team in order to remove the repository from child teams. 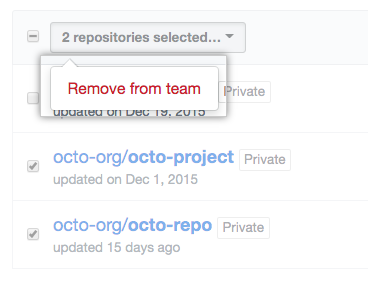 Select the repository or repositories you'd like to remove from the team. Above the list of repositories, use the drop-down menu, and click Remove from team. 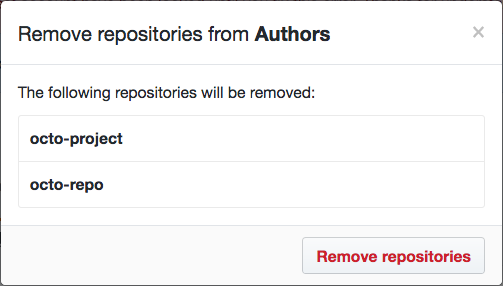 Review the repository or repositories that will be removed from the team, then click Remove repositories.